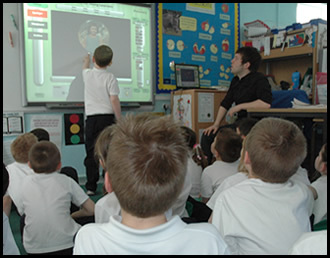 "PICTURACY provides all the resources you’ll need to embed multimedia into all your lessons. I loved the task that broke the audio into layers to see how atmosphere is created. The pricing for the site licensing is great value for money!" "PICTURACY is so easy to use – it just takes the fear factor away! Our school hasn’t really used film in this way before, so being able to illustrate filmic techniques with tried and tested film clips is fantastic. The software is so user-friendly and I love the fact you can just drag, drop and play clips… its really straight-forward even for people who may not be very IT literate!" "The change in the children’s attitude has been brilliant … they’ve engaged so well with using visual text on the interactive whiteboard it has consequently enthused and inspired them in their writing!"